My Sunday routine usually includes a trip to the market right after church. Yesterday was no different. One item on my shopping list was a five-pound bag of sugar. Mr. Aitch and I don’t use a lot of sugar so five pounds will last us for a very long time. I have been keeping our hummingbird feeder full on a regular basis so I’ve been using more now. When I didn’t have enough to make more nectar, I had to buy some. 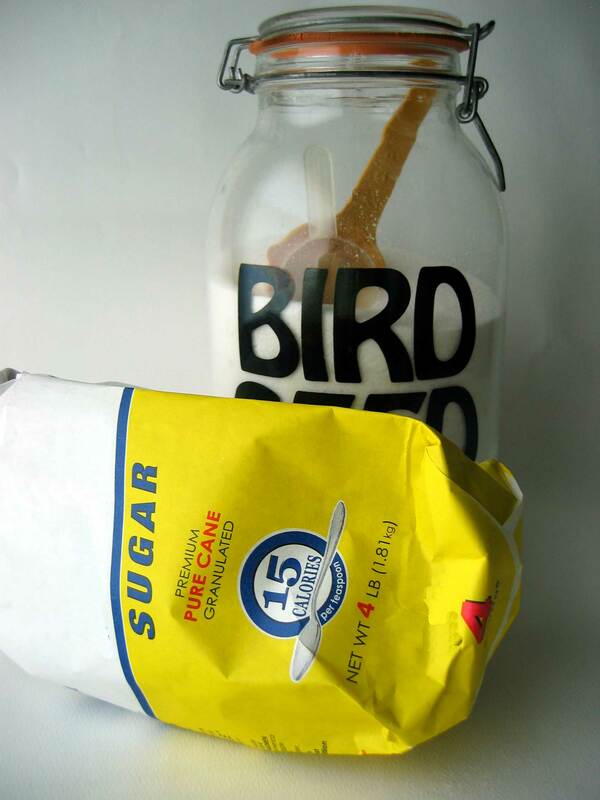 My sugar jar holds five pounds of sugar. Exactly. 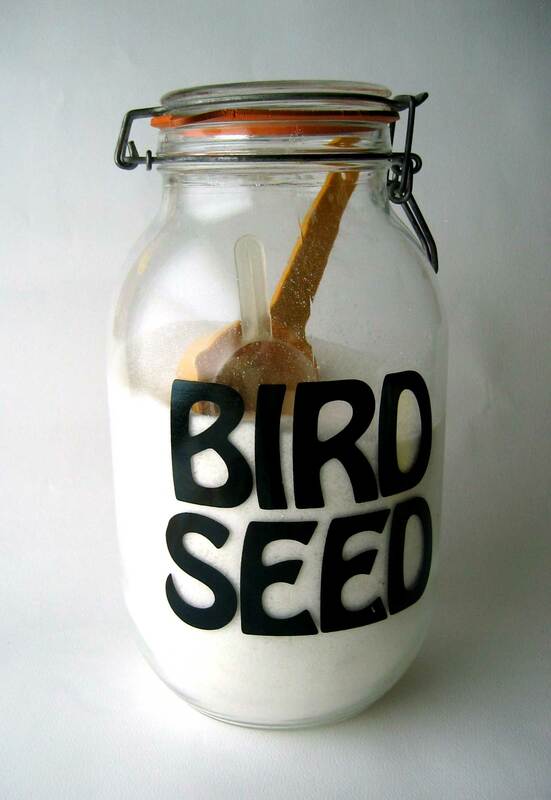 Yes, I know it says “BIRD SEED” but it holds my sugar. Always did. The bag was empty but the jar wasn’t full. The five-pound bag was really a FOUR-pound bag. It is marked on the bag but I wasn’t paying attention to it as that’s the “size” bag I always buy though I usually buy the generic store brand. They got me this time. Next time I’ll check the actual ounces or pounds before I think I’m getting a bargain. So this marketing strategy has been around awhile. I noticed it with ice cream several years ago. The company kept the price the same but instead of buying a half-gallon of ice cream (2 quarts), it’s now 1.5 quarts. The packaging is just a bit smaller. This entry was posted in food, Rant and tagged food, random thoughts, rant, sugar by Patti_is_knittinginflashes. Bookmark the permalink. The same with tuna in a can ……ice cream looks like a dixie cup now ! This is how they are giving us less food, but still charging us the same, or more. Sneaky of them,but also happening a lot lately. Some think that this is they are hiding food shortages from us, too.